I talk about the injustice of Casey Anthony verdict. If Casey didn't kill Kaylee, who did? Who will step up to the plate to find out? A fat slob has been Roseanne Barr insensitively tweets bringing abortion into this tragedy. You wanna go there? I'd be happy to-- how the man chile president Obama & Casey Anthony are cut from the same cloth? 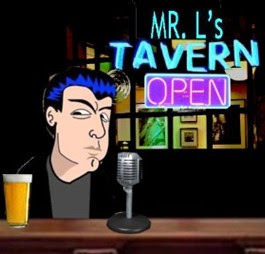 Hint: "I don't want my daughters punished with a baby"
Mr. L's Tavern gives the correct assessment of the Casey Anthony verdict.